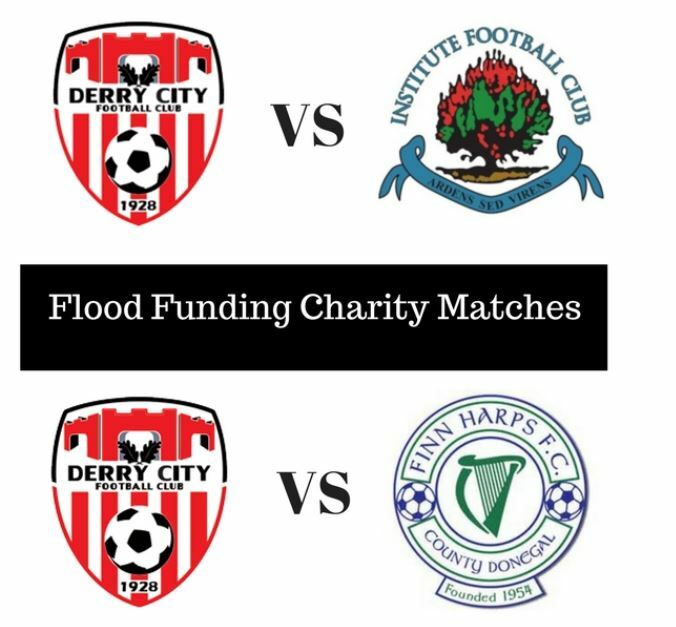 Derry City will play two games next week to raise much needed funds going to both The Riverside Stadium ground appeal and The Flood Damage Fund in Inishowen. Dozens of families in Donegal have been left homeless, businesses ruined and bridges washed away after the severe flooding last week. The Candystripes will take on their North West rivals in a charity match to attempt to raise as much money as possible to help the victims of the flooding.